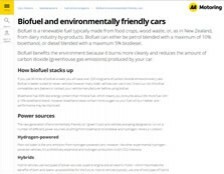 Biofuel is a renewable fuel typically made from food crops, wood waste, or, as in New Zealand, from dairy industry by-products. 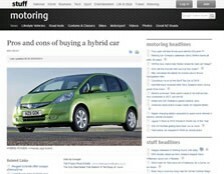 Biofuel can either be petrol blended with a maximum of 10% bioethanol, or diesel blended with a maximum 5% biodiesel. Biofuel benefits the environment because it burns more cleanly and reduces the amount of carbon dioxide (greenhouse gas emissions) produced by your car. 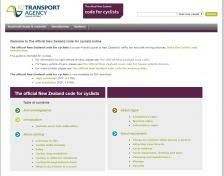 The official New Zealand code for cyclists is a user-friendly guide to New Zealand's traffic law and safe driving practices. 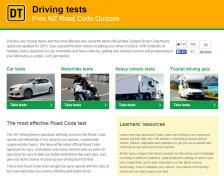 Practice your driving theory test the most effective way using the latest official New Zealand Road Code theory questions. 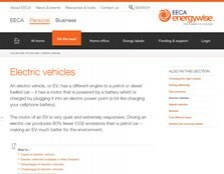 An electric vehicle, or EV, has a different engine to a petrol or diesel fuelled car – it has a motor that is powered by a battery which is charged by plugging it into an electric power point (a bit like charging your cellphone battery). 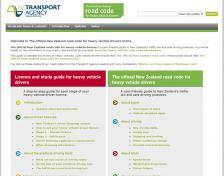 The official New Zealand road code for heavy vehicle drivers is a user-friendly guide to New Zealand's traffic law and safe driving practices. 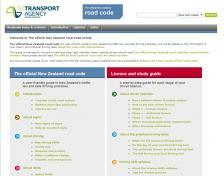 You will be tested on this information in your theory and practical driving tests.